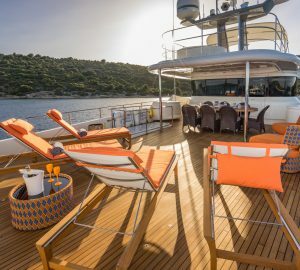 26m/84ft motor yacht ALBATOR was built in 2006 by Posillipo/Tecnema and was last refitted in 2016. 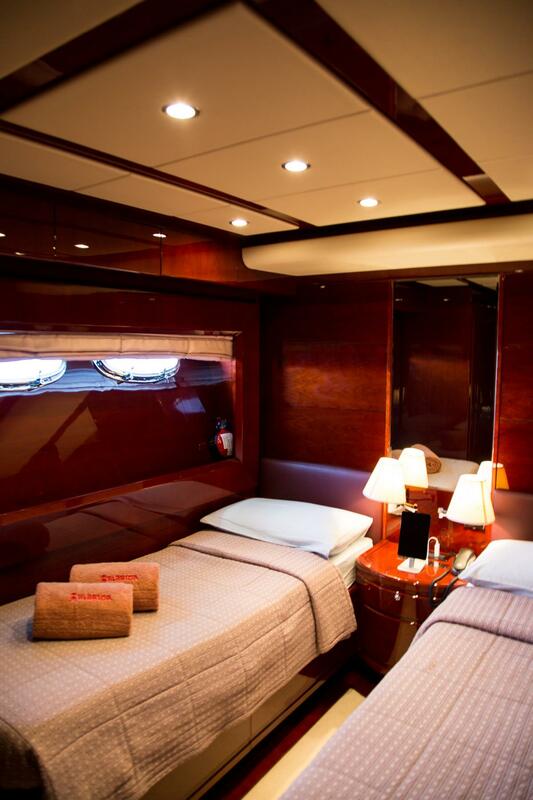 The accommodation provides for 10 guests over four cabins. 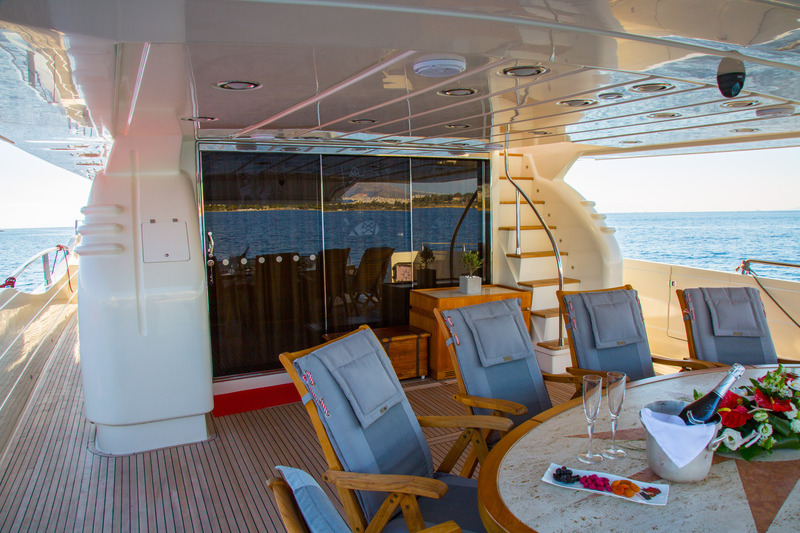 The main deck aft is fitted with a beautiful oval table ideal for atmospheric alfresco dining and a retractable shade allows the area to be sun-exposed as desired. 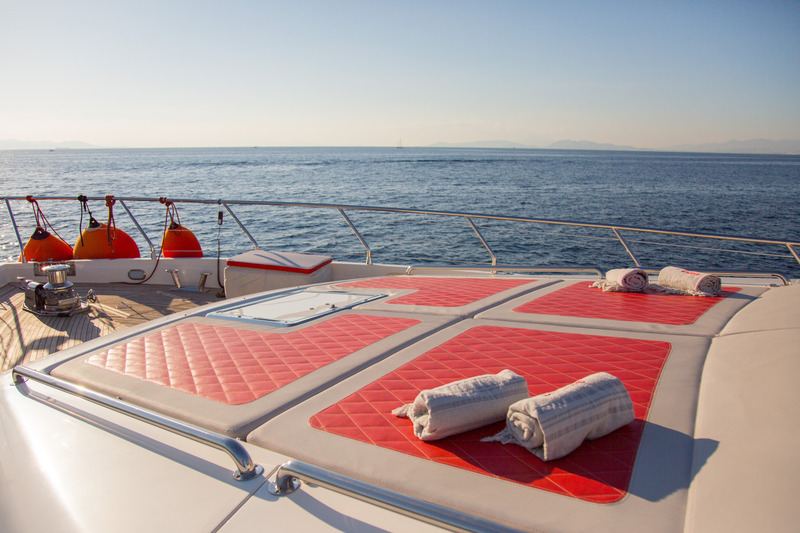 Two staircases connect to the swim platform below which is deep enough for sunbathing beside the water or for spreading out with a variety of water toys. 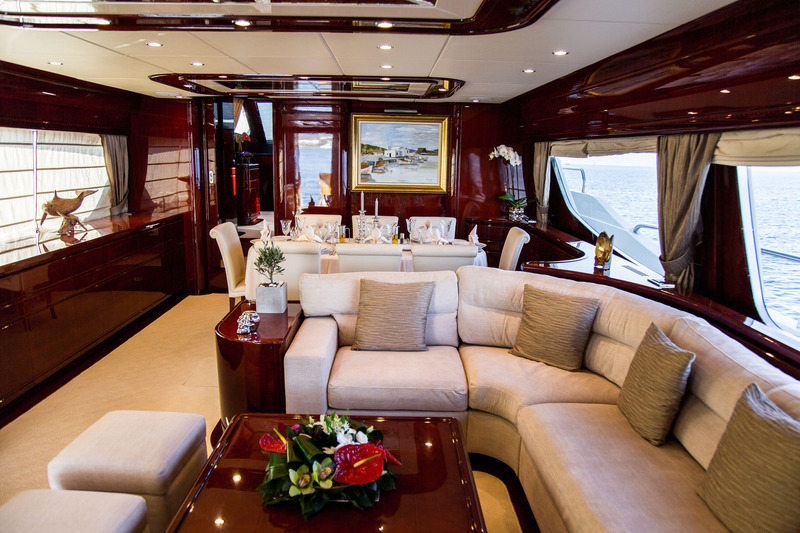 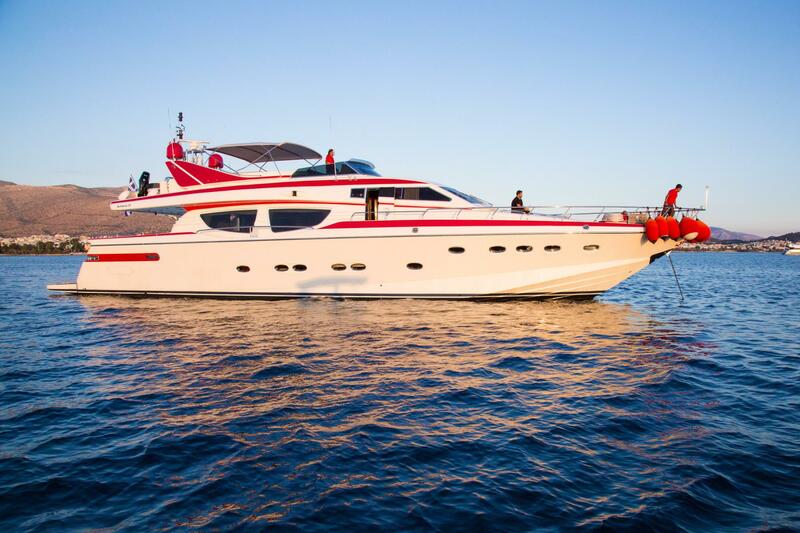 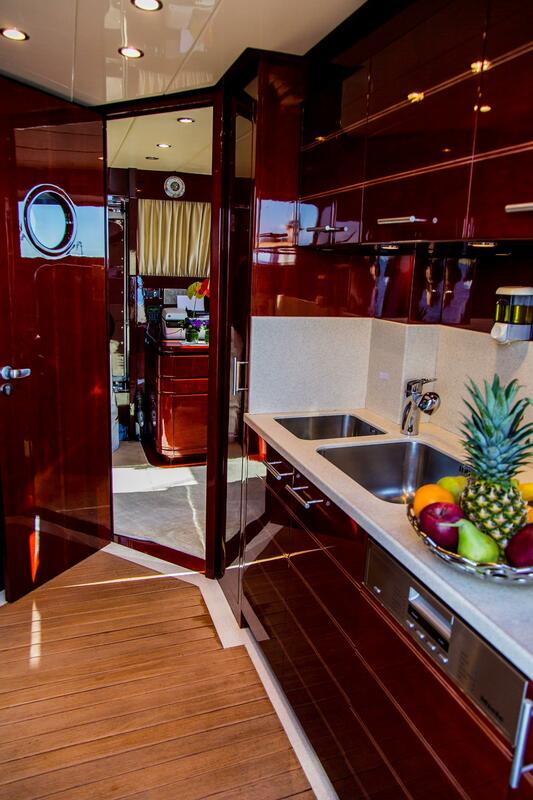 The bow is fitted with a large section of sunpads and the foredeck has additional room for chairs and sun loungers. 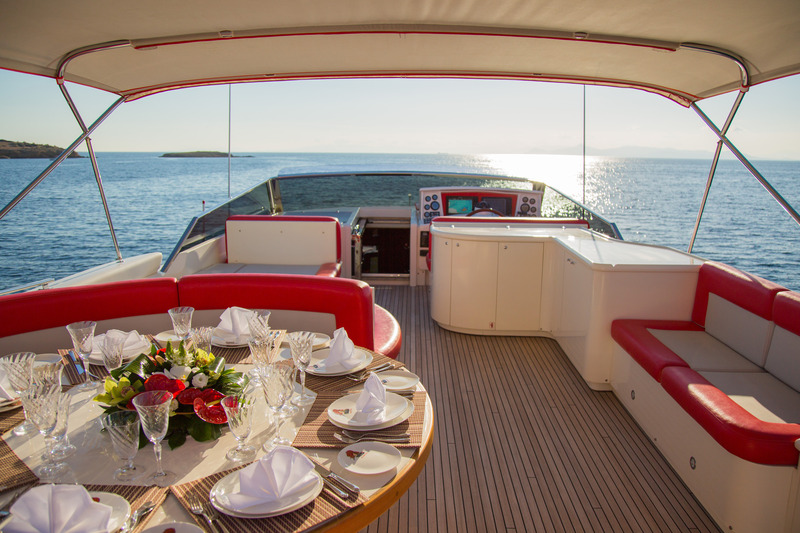 On the flybridge, the circular alfresco dining table makes the perfect setting for intimate alfresco meals, after which guests can enjoy the views from the port and starboard seating. 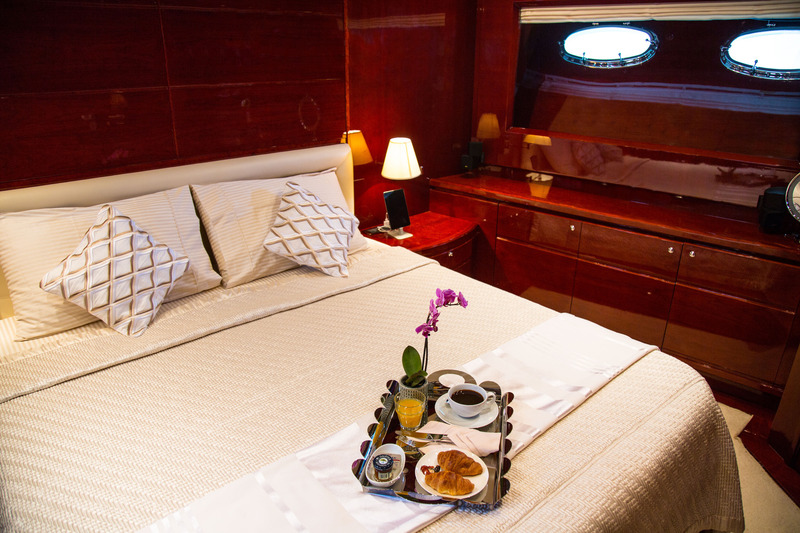 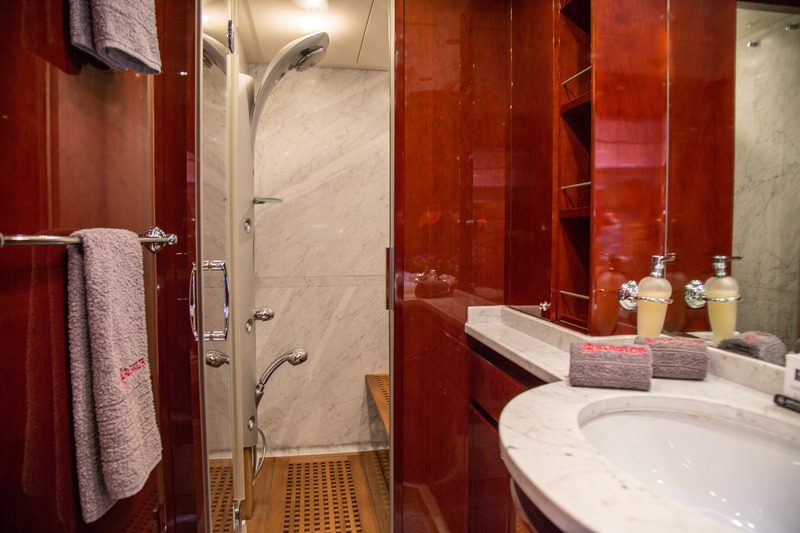 The guest accommodation is located on the lower deck and consists of a Master suite, a double cabin and two twin cabins. 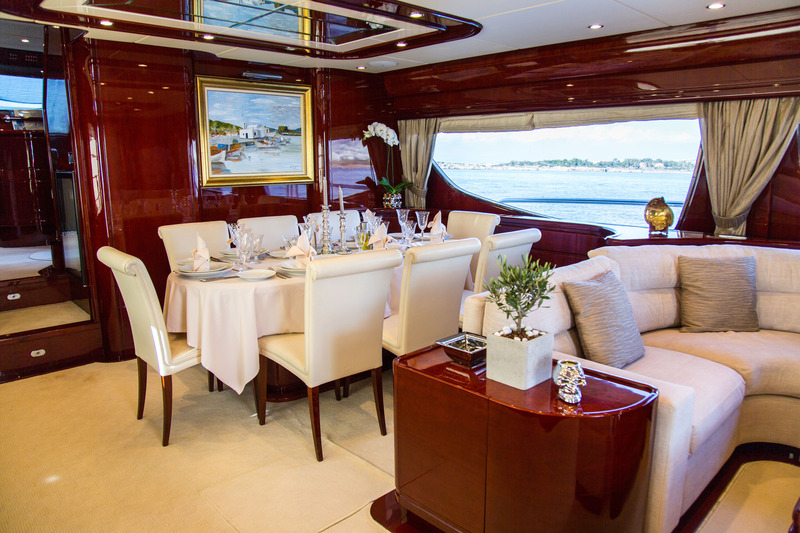 On the main deck, the salon offers a timeless environment in rich Cherrywood panelling and complementary furnishings in cream and gold. 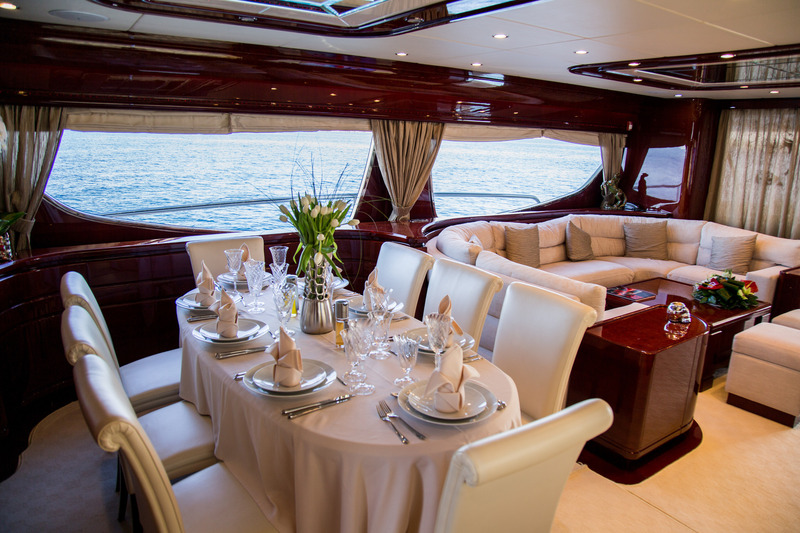 The forward formal dining area is perfect for celebrating any special occasion between eight people. 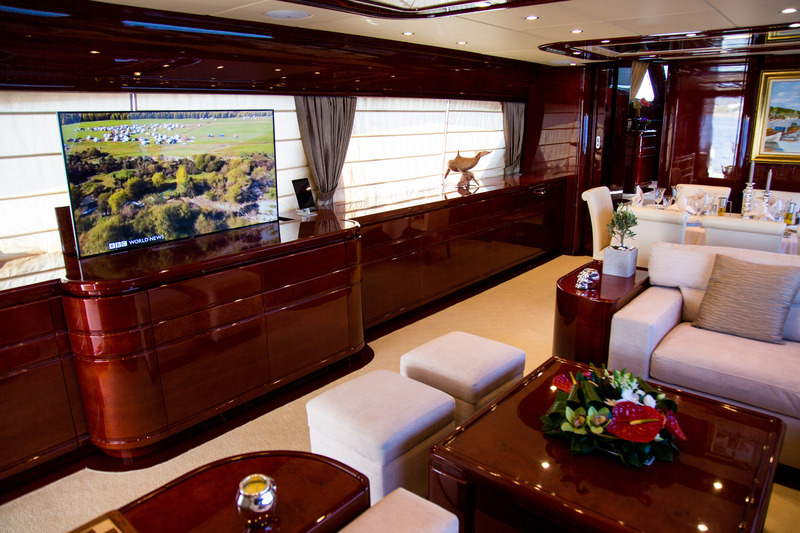 The aft salon section is fitted with a C-shaped sofa around a coffee table, opposite which is a widescreen TV that can be concealed into the cabinetry when not in use. 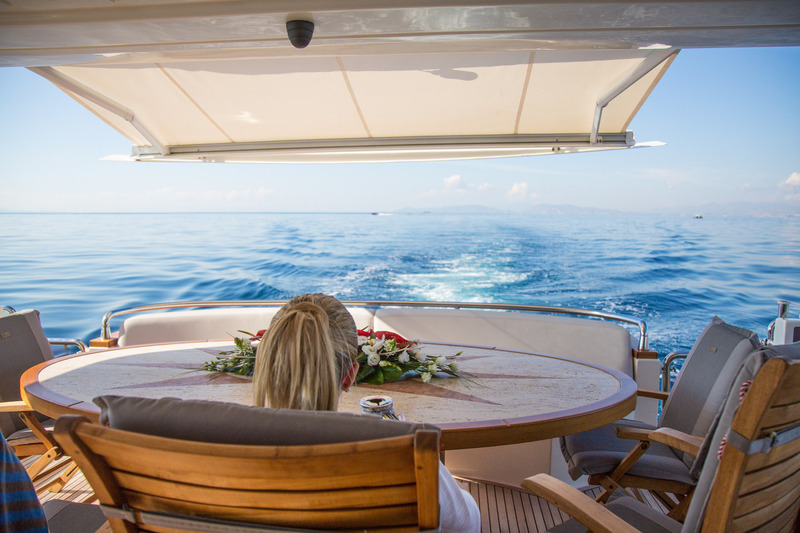 2 x MTU 16VM91 engines produce a cruising speed of 27 knots. 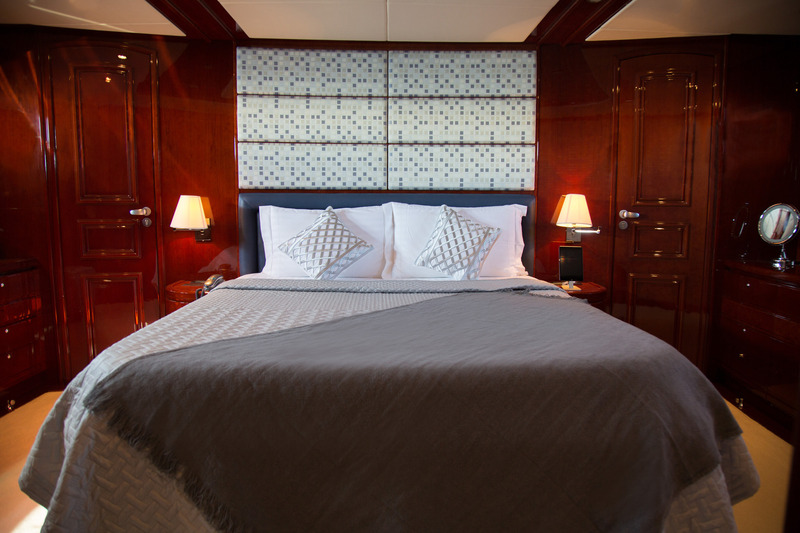 The accommodation sleeps 10 guests over 4 cabins: 1 Master suite, 1 double cabin and 2 twin cabins, each with a Pullman berth. 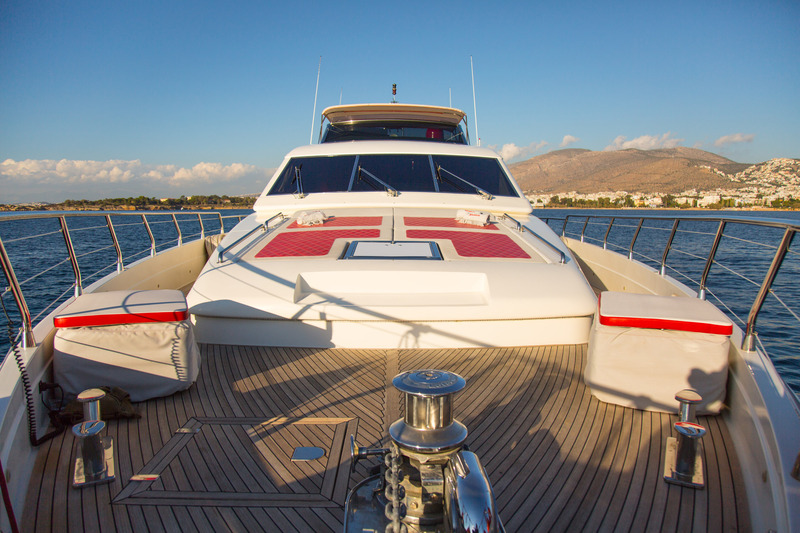 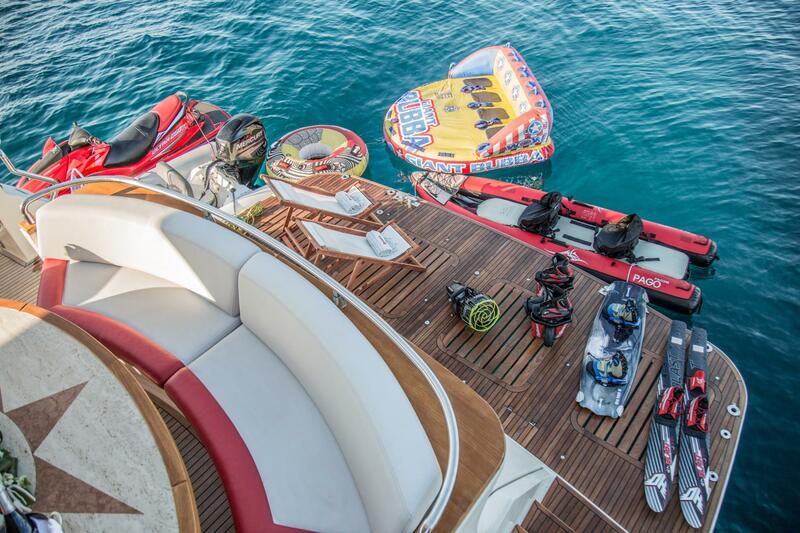 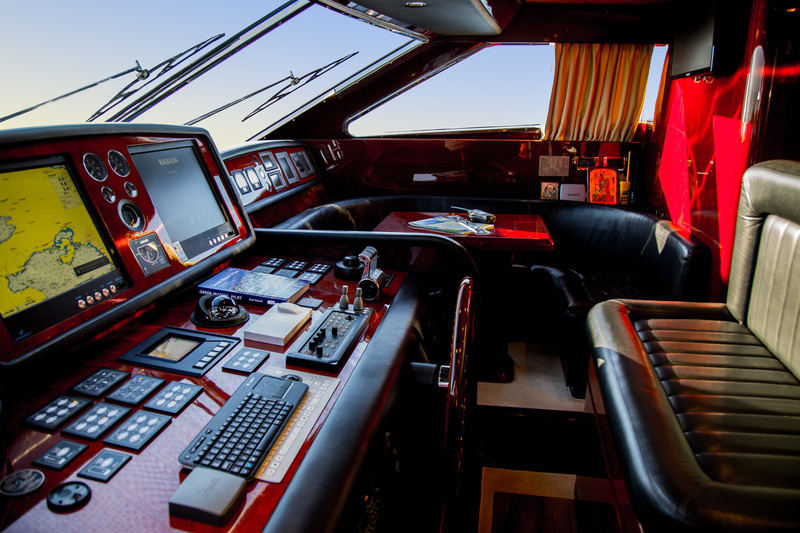 The professional crew of 4 will ensure that everyone on board has an excellent time.